Baltronic is providing test and measurement solutions in cooperation with Anritsu, Kathrein and Schomandl. Anritsu has been a leading provider of communications solutions for more than 100 years. The company has become a global leader in the telecommunications, optical and wireless industries by providing a diverse range of products from test and measurement solutions to high-speed devices and components for use in R&D, production and maintenance. Making a major contribution to the development of the Ubiquitous Network Society, Anritsu continues to provide customer-driven solutions and support in many areas, including information network test and measurement for mobile and Internet, RF and microwave solutions, fibre-optic telecommunications and industrial solutions. Schomandl is a company of Kathrein group and well known as international specialists for high-quality solutions in the field of high-frequency (HF) measurement technology. Schomandl technology fulfils the highest demands through continuous new developments and is therefore used in professional sectors, such as military applications, aircraft constructions and in the field of cellular networks. 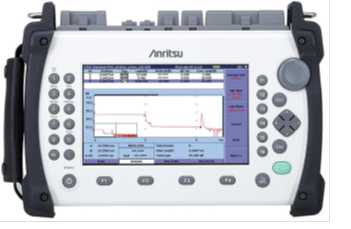 Anritsu’s latest generation of handheld spectrum analyzers is the MS2720T Spectrum Master, frequency range 9 kHz to 43 GHz. The Spectrum Master MS2720T features over 30 analyzers in one to meet virtually every measurement need. It has a touch screen, full-band tracking generators to 20 GHz and best-in-class performance for dynamic range, DANL, phase noise and sweep speed. 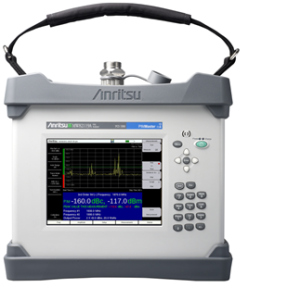 The Site Master does all this by combining a cable and antenna analyzer with a spectrum analyzer into a single integrated device while delivering the ease of use, rich functionality, and best-in-class price/performance. Designed to handle the most punishing field conditions, the Site Master dramatically enhances your productivity and transforms the traditional fix-after-failure maintenance model to one that allows you to identify and address minor problems before they become major ones. 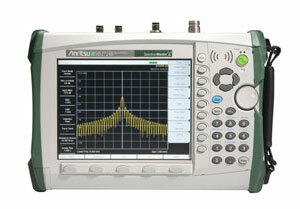 Frequency Range: 2 MHz to 6 GHz. The CMA 5000a is a field portable, network testing platform designed for installation, maintenance and troubleshooting of today’s complex networks. One platform does it all: physical layer applications (OTDR, PMD, CD, OSA), transport layer applications (Ethernet 1/10Gbit, SDH/SONET to 10G). 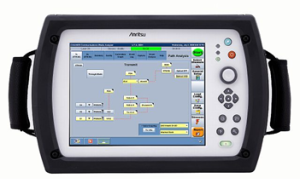 Common Windows® based user interface simplifies use, modular design allows maximum flexibility, simultaneous operation of multiple test applications. All-in-One solution for optical fiber construction and maintenance of access, FTTx, LAN and Metro networks. 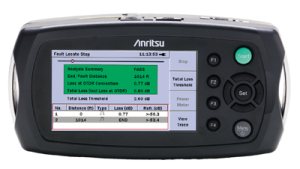 Ability to test ultra-long haul fiber spans (>200km) quickly and with minimal averaging. Rapid testing of PON-based FTTx networks up to an industry-leading 128 splits. Optical performance up to 46dB. 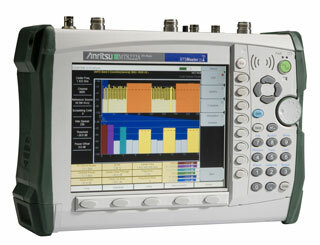 The Network Master MT9090A µOTDR has created a new class of test instruments. It features 5 cm resolution for accurate mapping of events, deadzones of less than 1 meter (3 feet) and a dynamic range of up to 37 dB – enough to test over 150 km (90+ miles) or PON-based FTTX networks featuring up to a 1×64 split. The MT9090A µOTDR also takes portability to a new level by being the first handheld OTDR that truly fits in the palm of your hand.